Legal issues can cause a whirlwind of stress and anxiety. In normal circumstances, stress can be beneficial in providing drive and an extra boost of energy to get tasks accomplished. However, an extreme amount of stress can cause serious health concerns and can take an emotional toll. Finding healthy and productive ways to work through stress plays an important part in dealing with these negative impacts. Take a break – While it might seem hard to get away from your legal concerns, it is imperative to give yourself permission to set away for brief periods of time and find ways to recharge. While it is important not to use this as a way to avoid your issues, it is crucial to develop habits that help you keep them in check. Exercise – Exercise has positive benefits on your mind and body. A regular exercise routine of just 20-30 minutes can go far to help you deal with stress. Plus, the endorphins that are often associated with exercise can give you a brighter perspective on your worries. Laughter – The saying “laughter is the best medicine” is not far off. Similar to exercise, laughter helps your body to release “feel good” endorphins. It also helps to relieve tension and improves your overall outlook on a situation. Phone a friend – Talking to a friend often gives us the support we need to get through our troubles. A friendly voice can provide a pick-me-up and can also give you a different perspective on your issues. Talk to someone you trust, who can offer you good and dependable advice. Yoga and meditation – Meditation is a powerful way to clear your mind, relax and focus. 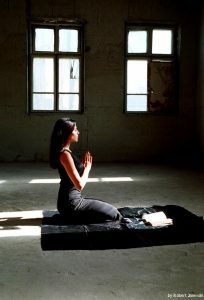 Mindfulness techniques such and meditation and yoga can give you a new perspective and assist you in developing coping strategies in times a great stress. It can also help to create a sense of calm as you work through your stressors. If you or someone you know is looking for a trusted and qualified attorney in Savannah, Georgia or surrounding areas, contact Matthew G. Midgett, P.C. He can provide legal services in family law, civil litigation, criminal defense and personal injury cases. Mishaps and accidents can be fairly common in modern day life. However, if you were the victim of an accidental injury caused by another, you are legally entitled to damages and compensation. There’s no checklist to determine whether or not you should file a personal injury claim, but here are some tips to help you determine the best path for your case. Personal injury is a broad category that includes harm suffered on a physical, psychological, or emotional level. It is harm specifically to a person, not their property. A personal injury case can only be put forward if someone else is legally responsible for that harm, whether directly or through negligence. If your claim moves forward, the focus will be on the exact incident and the harm that resulted. You won’t be able to determine if you have a good claim if you don’t have specific written evidence. Here are some items to make sure you collect. Georgia has a two year statute of limitations for personal injury claims. However, if you’re filing a claim against a government agency or employee, the time frame to file is as little as 60 days. If you miss the window, you may not be able to ever bring suit or collect any compensation. Personal injury cases can be a long, complicated process. Having the proper documentation is the first step to determining whether you have a viable claim. Consult an experienced personal injury attorney to analyze your evidence and give you sound legal advice. Matthew G. Midgett, P.C. offers no-obligation consultations for your personal injury claim. Contact the Law Offices of Matthew G. Midgett to begin navigating your concerns today. Divorce and separation are never easy situations. When children are a part of the family dynamic, the stakes get even higher. Custody concerns can create heated emotions a host of additional considerations during the settlement process. Here are some things to keep in mind if you are facing a divorce or separation combined with child custody in the State of Georgia. Before your hearing there are several things you should discuss with your attorney to ensure that your best interests as well as those of your child are considered. Visitation schedules – It is important to clearly define visitation expectations for every day of the year, noting who will have your child on any given day. Holidays – This can be a very sensitive issue as both parents will likely want custody of the children during these special moments. Carefully consider who will have visitation for each holiday during the year. Vacations – Summer vacation is another time when parents can have strong feelings about custody rights. Set a schedule for your child’s summer break defining the terms for longer durations. Transportation – Determine drop-off and pick-up expectations, and who will be responsible for delivering the children during custody switches. Contact during custody – Create a well-defined agreement regarding how often a parent can contact the children when they are in the custody of the other parent. Here are a few terms to be familiar with before your hearing. Custody decision – The judge will hear input from both parents and then will make a final custody decision based on what he or she feels is in the best interest of the child. Once the judge makes a ruling, it cannot be changed unless there is some mitigating circumstance in the family dynamic. Sole custody – In this type of custody, the judge approves visitation terms for the non-custodial parent, however this parent will have no legal authority to speak on behalf of the child. Joint custody – This means that both parents both have legal authority over the child and make decisions together on their behalf. Additionally, they both have equal parenting time. In addition to understanding your rights in a child custody case, it is crucial to have experienced and trusted legal representation to help you through these sensitive proceedings. Contact the law offices of Attorney Matthew G. Midgett, in Savannah, Georgia, for thorough and compassionate family law representation. Length of time – If the divorce involves an individual who is on active duty or overseas, the process can take much longer than a typical case. Retirement and pensions – According to the Defense Finance and Accounting Service (DFAS), an ex-spouse will only receive retirement payments directly from DFAS if the couple has been married for at least ten years and has ten years of overlapping service. This is commonly known as the “10/10 Rule.” There are significant misconceptions as to what this means to both active/retired military members and their dependents. Additionally, depending upon the state in which you reside, there might be a different date of division that could impact how the amount of time you have been married is defined. The USFSPA allows for State court of competent jurisdiction to divide military retired pay regardless of duration of the marriage or years that the marriage overlapped with military service. 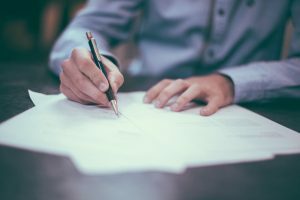 It is important that you have an attorney who understands this distinction if you are going through a military divorce. Child support – While child support in a divorce is determined by the State, each branch of the service, except the Air Force, has specific rules regarding how much support a parent should pay. The State court has the final say, but it is important to communicate the intricacies of a service member’s pay and the fact that payment amounts can change if they are deployed. Base privileges – Items such as commissary, exchange and theater privileges are determined by the 20/20/20 rule. This means that you have been married to your ex-spouse for at least 20 years. Your ex-spouse was a member of the military for 20 or more years and the time served and time married overlap by at least 20 years. If all three of these items are true, you are entitled to full base privileges until you remarry. Health care – Military health care, or TRICARE, is also determined by the 20/20/20 rule for full coverage. If you do not qualify under this rule, there is transitional coverage available under a 20/20/15 rule. You are eligible for this supplemental care for up to 12 months after your divorce unless you remarry. Because of the intricacies of a military divorce, it is best handled by a legal professional who specializes in this type of family law. If you or someone you know is considering a divorce and is serving in the military, contact attorney, Mathew Midgett. The Law Office of Matthew G. Midgett serves families in Savannah, Georgia and the surrounding community with compassionate and trusted legal advice.